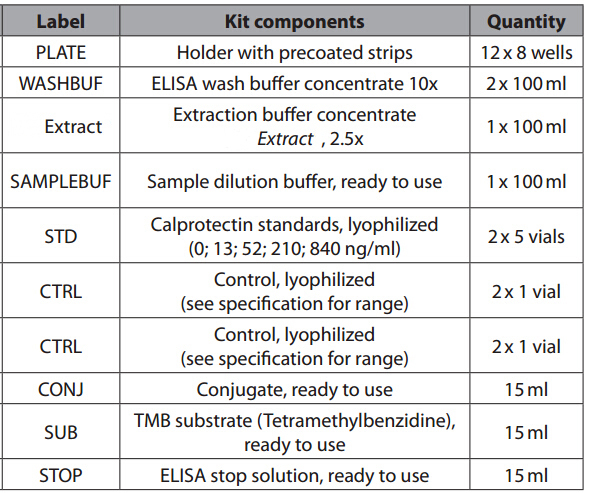 The described Calprotectin ELISA is intended for the quantitative determination of calprotectin (MRP (8/14, S100A8/A9) in stool. Unopened Kit: Store at 2-8°C. Do not use past kit expiration date. Have you cited DEIA042J in a publication? Let us know and earn a reward for your research.